CCP announced the return of the EVE store, finally, and admitted that the selection is sparse but they are looking to expand it. While I'm glad the store is finally returning, I heartily agree they need to expand the selection beyond the 26 items they current sport. With that in mind, here are my suggestions for furture additions. 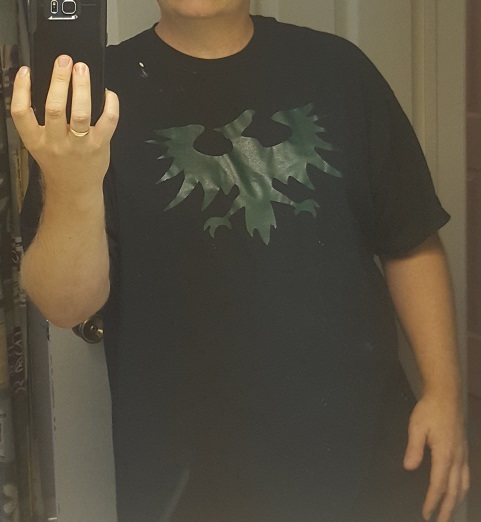 1) More Shirts - graphic tees with EVE's instantly recognizable ships on them, major faction sysbols (Go Gallente! ), and other icongraphy that is more well known than the doomsday icon (like a warp scram perhaps with the caption "Going Somewhere?"). 2) More hats - along the same lines. 3) In the accessory category, more small stuff like the Archon keychain, the Decal sheet (need image please), mugs, pens, and the pirate beer glasses are pretty cool too. 4) POSTERS - Why haven't you leveraged the brilliance of Rixx Javix yet to produce a line of iconic posters? So many people want them, and I believe you have plans to include them, so get on it! 5) Ship models - you won't sell a lot of these, but there are probably enough nerds that want them with disposable income. I know the USB rifter on my desk is a much beloved model (Thanks Diana!) and I'd love to add some company for it. 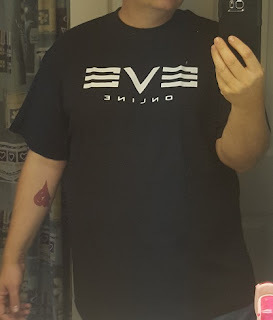 You can do it, CCP, make the EVE Store Great Again! Lachrymose - definition: tearful or given to weeping. Suggest that is the link.